Summer is almost here, and soon strawberries will be overflowing in the garden! 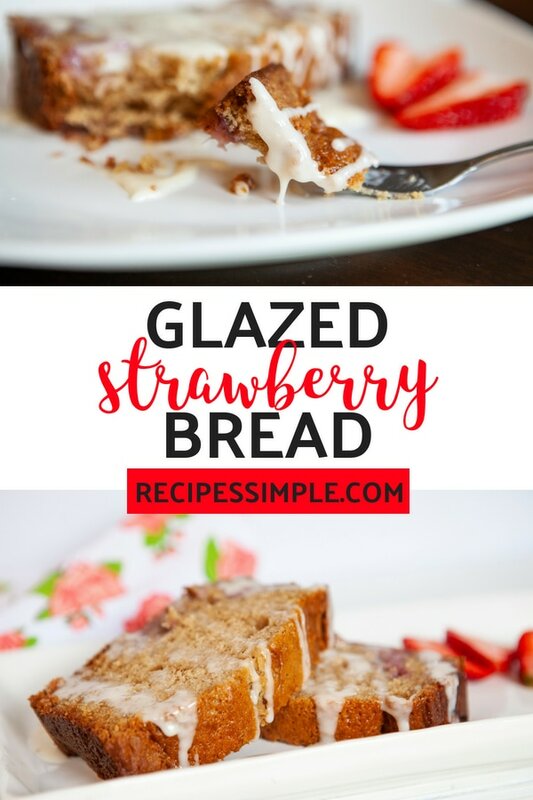 If you are a fan of strawberries this glazed strawberry bread is a must make this season. 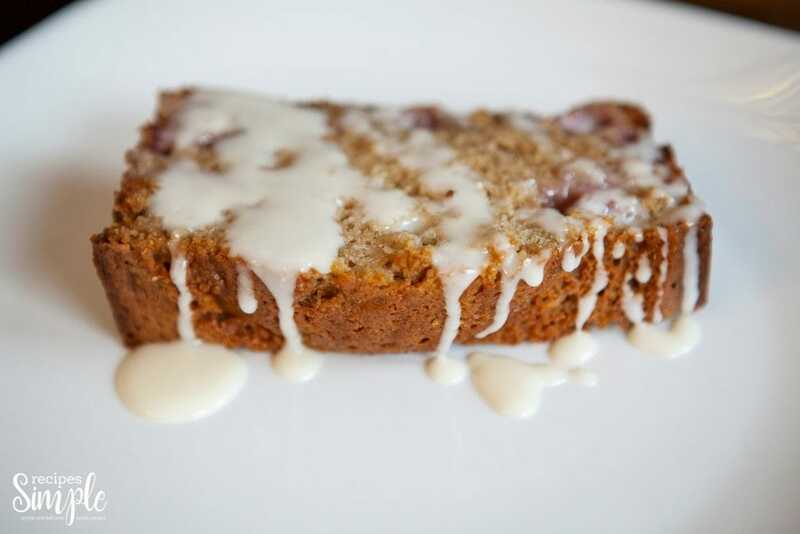 This Strawberry Bread is so moist and is bursting with strawberry flavor. 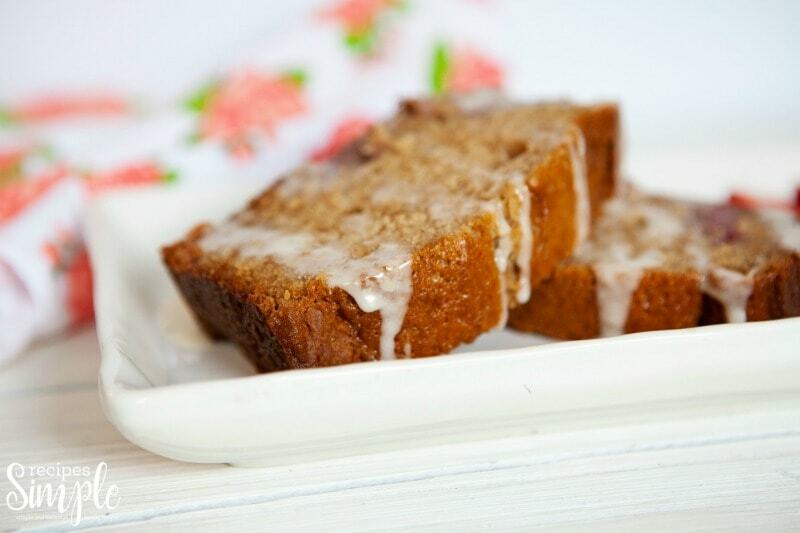 The glaze adds the perfect amount of sweetness to the bread. Whip this up for breakfast, brunch or an afternoon snack. Scroll down a bit to find the printable recipe! This bread really is easy to make and it gives a stunning presentation to guests and offers delicious summertime flavors with each bite. First off you want to wash and slice up all the strawberries and then set the bowl aside. 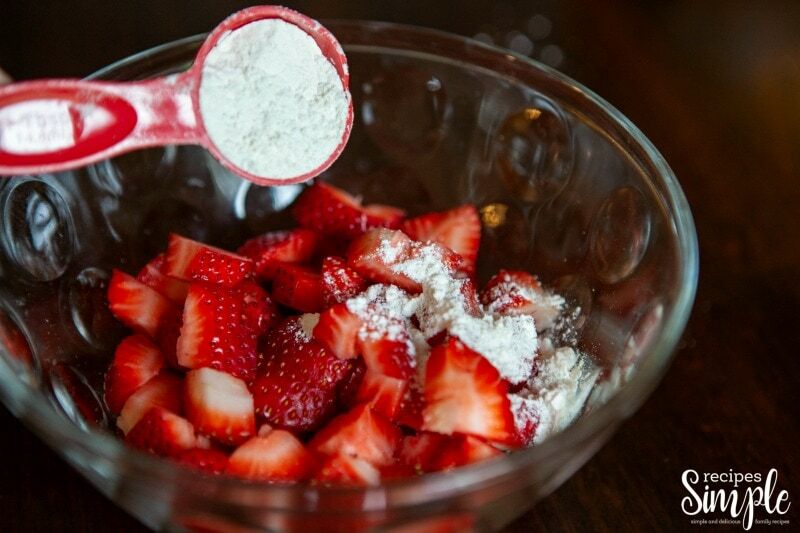 Adding in some flour will help the strawberries incorporate into the bread instead of sinking to the bottom of the pan while it bakes. 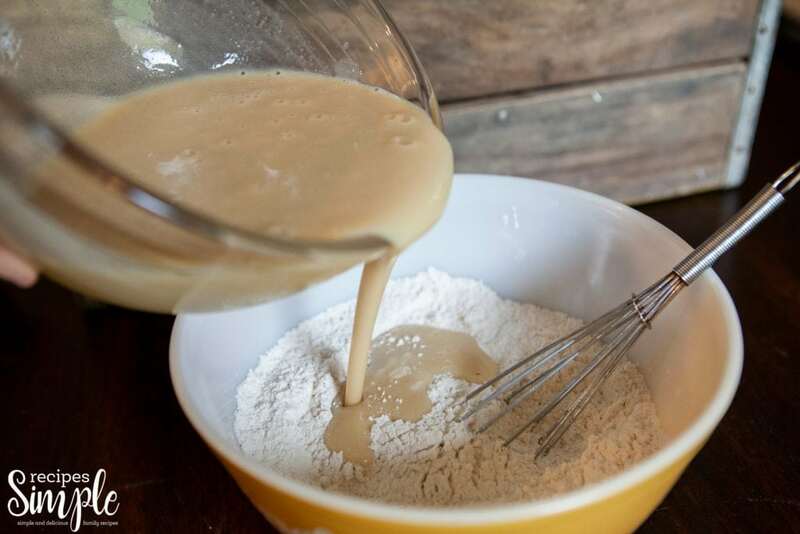 In a large bowl combine your flour, baking soda, salt, and cinnamon and set aside. Then in a medium bowl, you want to whisk your sugars and egg together until there is no lumps. Follow by pouring in buttermilk, oil, and vanilla. Then slowly mix your wet and dry ingredients together and stir until there are no lumps. 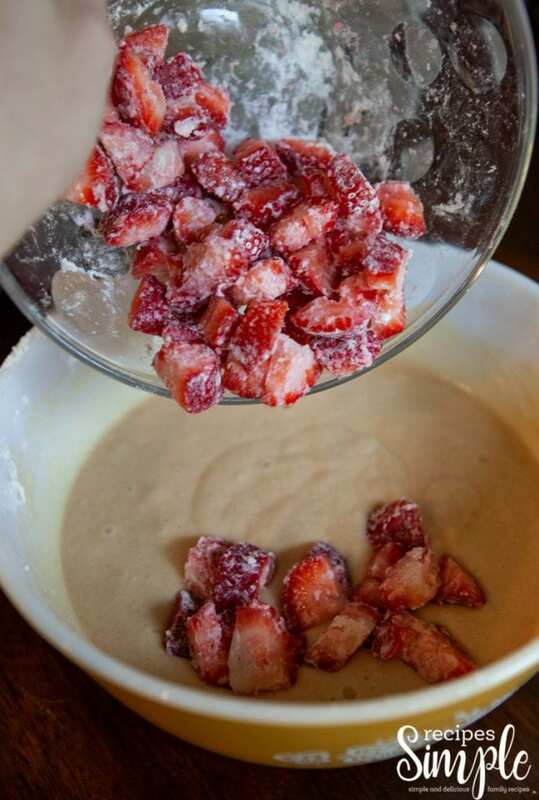 Fold in your strawberries to the batter with a spatula. Then cover with aluminum foil and bake for 30 minutes, and then remove foil and continue baking for 20 more minutes. Stick a toothpick in the bread and if it comes out clean it is done. If it still seems wet, just bake a little longer and re-check. Then allow bread to cool completely. Once the bread has cooled mix up the glaze to pour on top. Just whisk your vanilla, cream, and powdered sugar together until nice and creamy. Drizzle over the bread right before you serve it to guests. 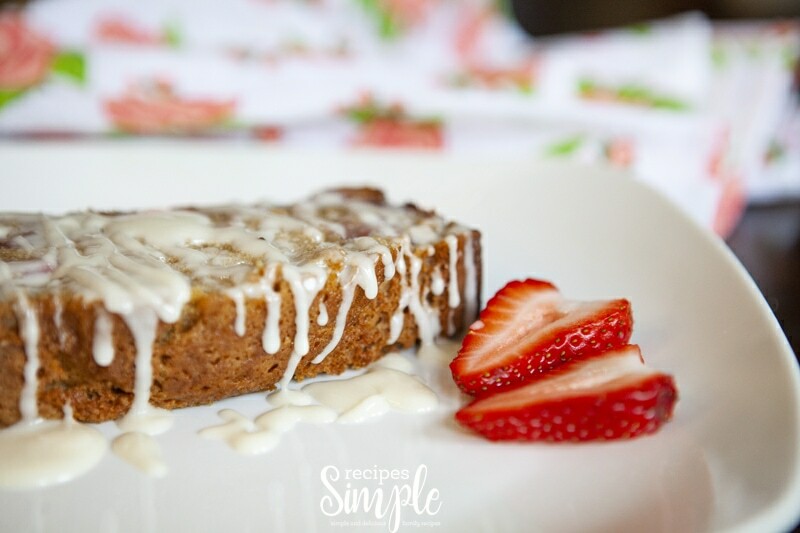 If you are a fan of strawberries this glazed strawberry bread is a must make this season. 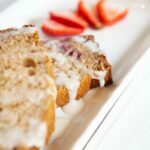 You have moist bread that is bursting with strawberry flavor, and the glaze adds the perfect amount of sweetness to the bread. Whip this up for breakfast, brunch or an afternoon snack. Preheat oven to 350 degrees. 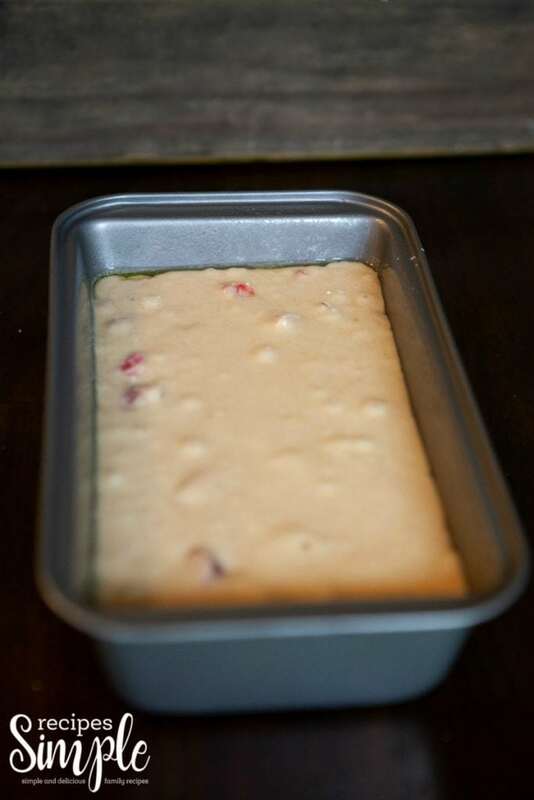 Spray a 9x5 loaf pan with nonstick spray. In a large bowl, mix the flour, baking soda, salt and cinnamon until combined. Set aside. In a medium bowl whisk the egg, white and brown sugars together until there's no lumps. 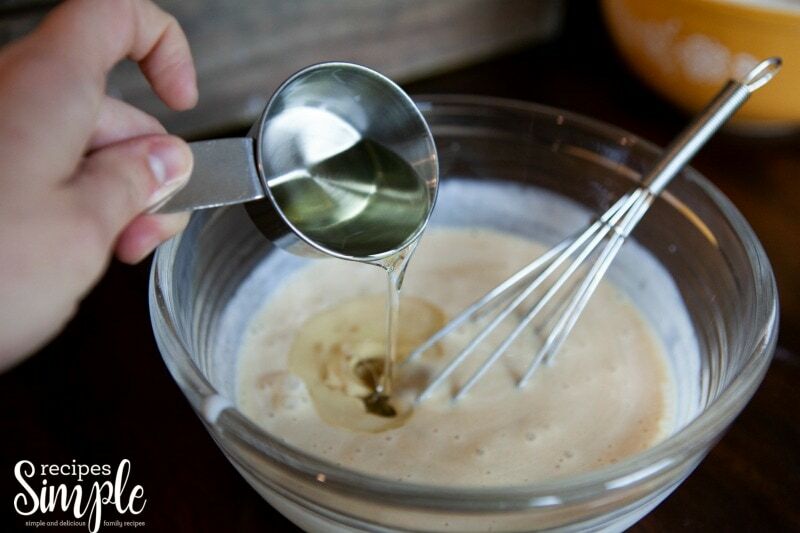 Whisk in buttermilk, oil and vanilla. Slowly combine wet ingredients into the dry ingredients. Whisk until there are no lumps. Fold in strawberries. Pour into bread pan. Cover loosly with aluminum foil for the first 30 mins to keep from over browning the top. Bake bread for 20 more minutes. Insert toothpick after 50 minutes of baking. If it's wet, put it back in for about 10 more minutes. If it's dry, take it out. Allow bread to cool completely in bread pan. 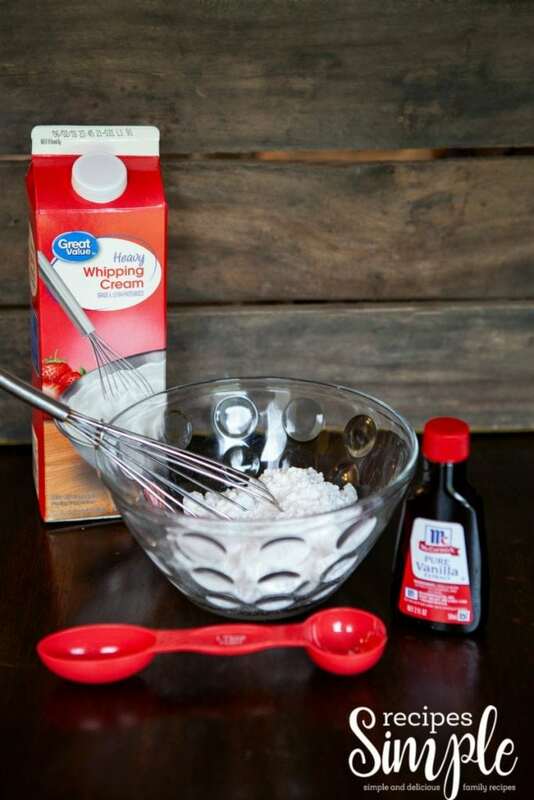 Whisk powdered sugar, vanilla and cream together until combined and very creamy. 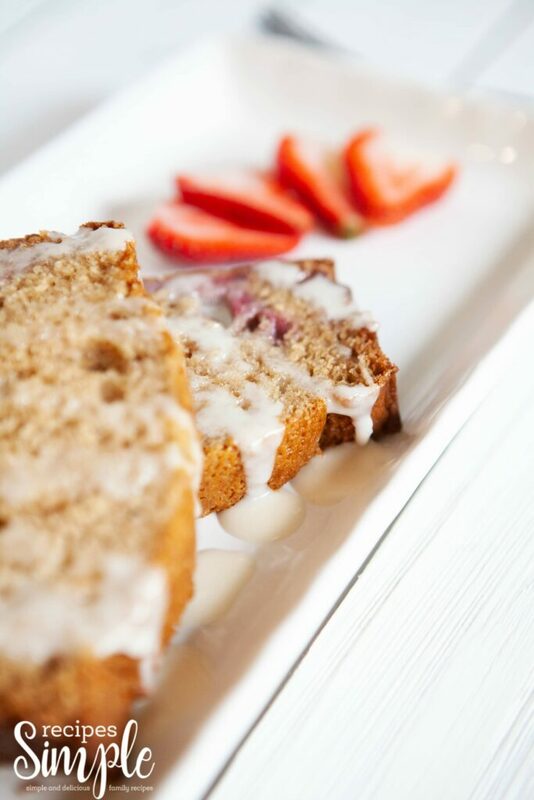 Drizzle over strawberry bread right before serving.